Note: The first few instructions below is for an initial connection to the ATBS Interpreter device. If you have already paired the ATBS Interpreter device to your phone or tablet, proceed to Step 4. Step 1 – Connect the device using ATBS Interpreter to AT1939 Adapter Cable. The device plugs directly into the AT1939 adapter cable. The cable then plugs into the vehicle’s AT1939 socket. The device does not have special prerequisites or require installation from authorized personnel. After the device is plugged into the socket, the red LED turns on and stays on constantly. This means the device is powered and operational. The green LED lights come on when data is being transmitted. 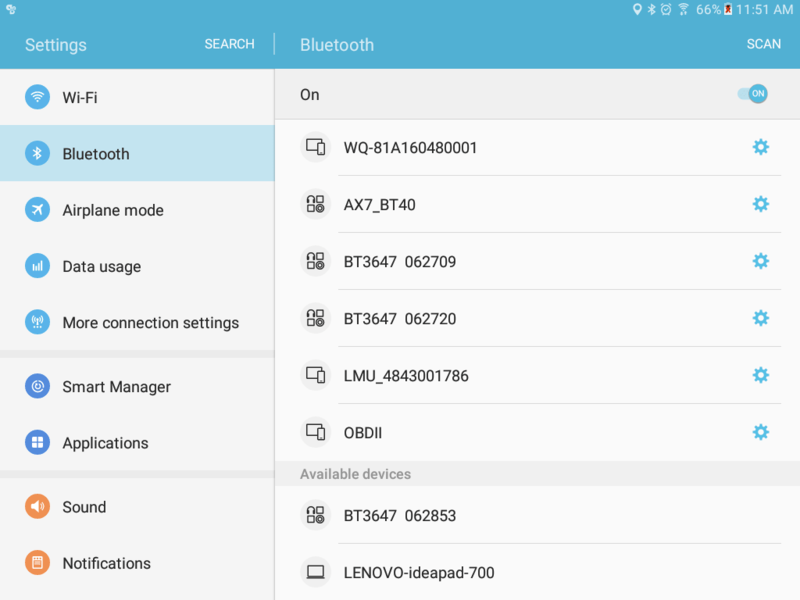 Step 2 – Enable Bluetooth functionality on your Android phone or tablet. From the main screen, Go to Settings. Tap the switch for “OFF” to “ON” position to turn on Bluetooth and put your Android phone or tablet into pairing mode. Step 3 – Pair your Android phone or tablet with the ATBS device. 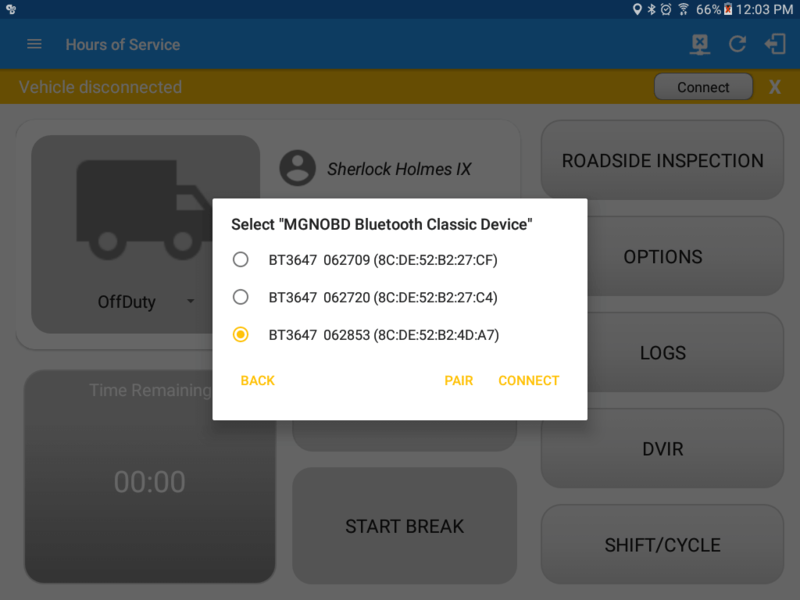 Upon completion of Step 2 above, the Android phone or tablet should display a list of available Bluetooth devices. In case the list is not available, tap on the “Scan for Devices” or “Search” button. After a few seconds, the “BT3647 062853” device should appear on the list of the Available Devices. 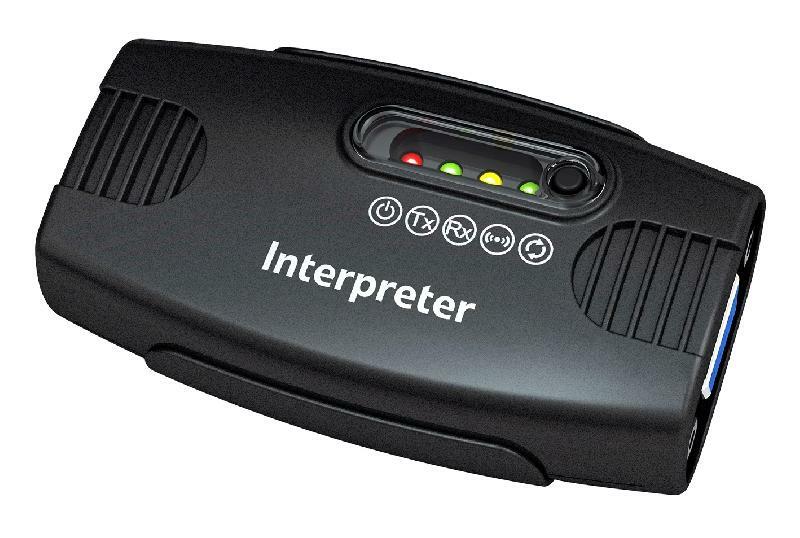 If the device is not available in the list, make sure you are in close proximity to the ATBS Interpreter device (less than 32 feet or 10meters), and the ATBS Interpreter device is powered on (see Step 1 above). 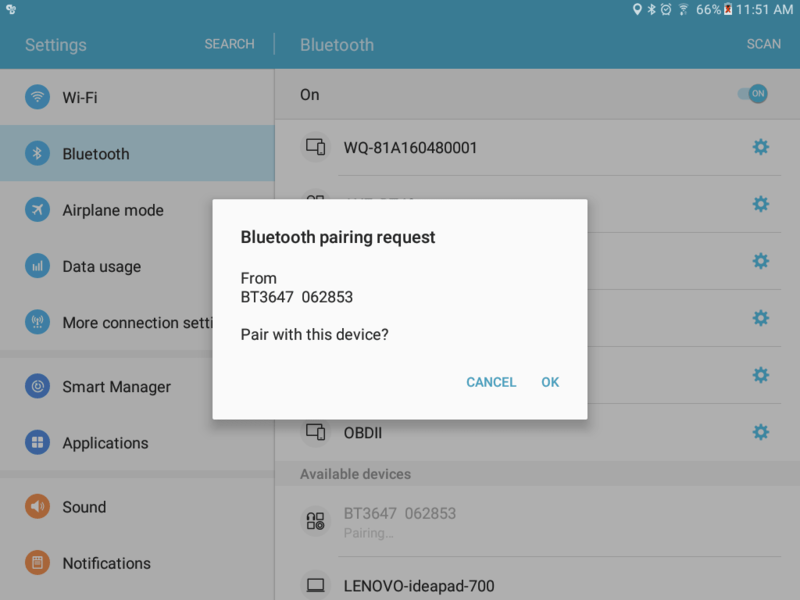 Tap on the “BT3647 062853” ATBS Interpreter bluetooth device, then the device goes into pairing mode and the “Pairing…” message is displayed. 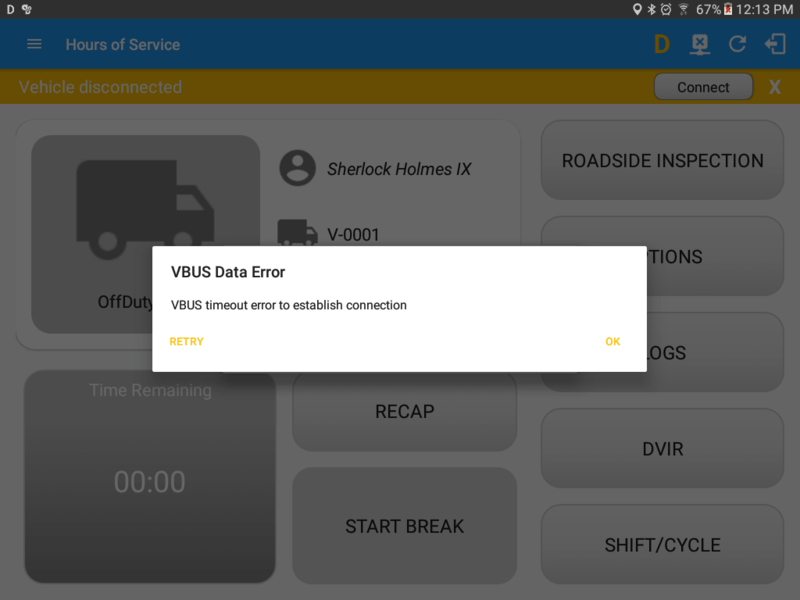 Step 4 – Use the VisTracks Mobile App with the paired ATBS Interpreter device. Pair button – tapping this button will open the Android Device Settings > Bluetooth screen, to be able to pair devices. 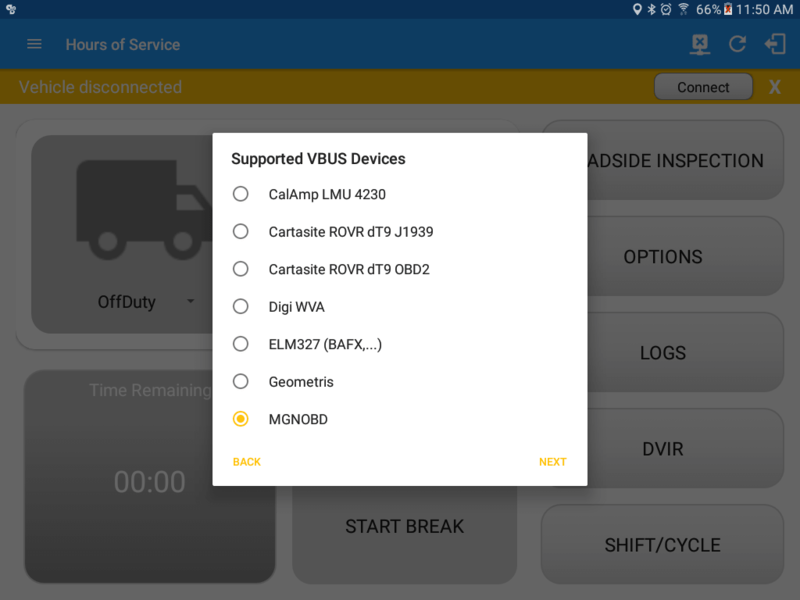 Connect button – Select ‘BT3647 062853’ from the device list then tap the Connect button. 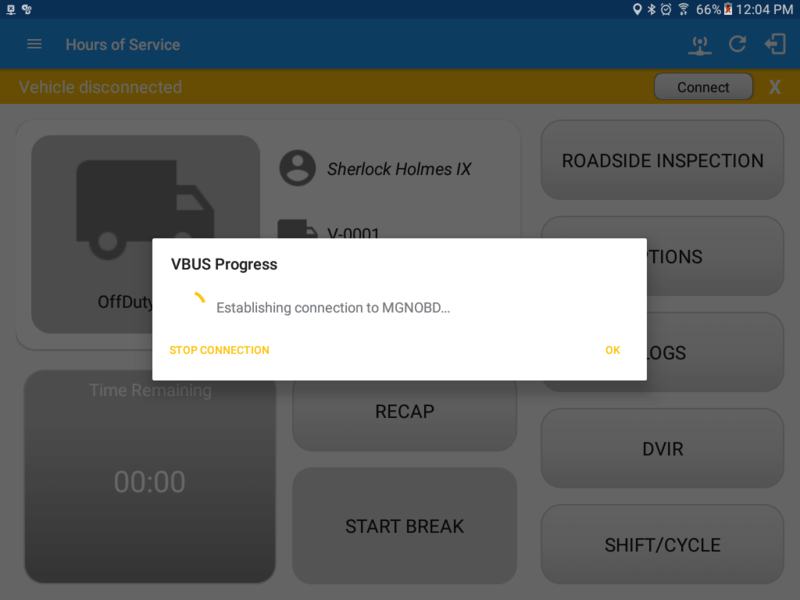 After a successful VBUS connection, You should hear a tone letting you know that the device is now connected. 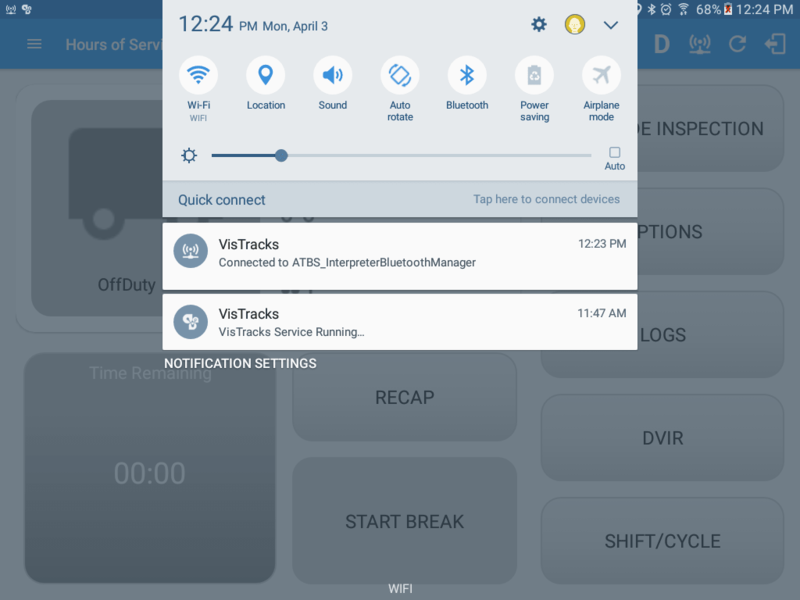 To check if you are connected, go to the Android Notification Bar and you should see the following message. 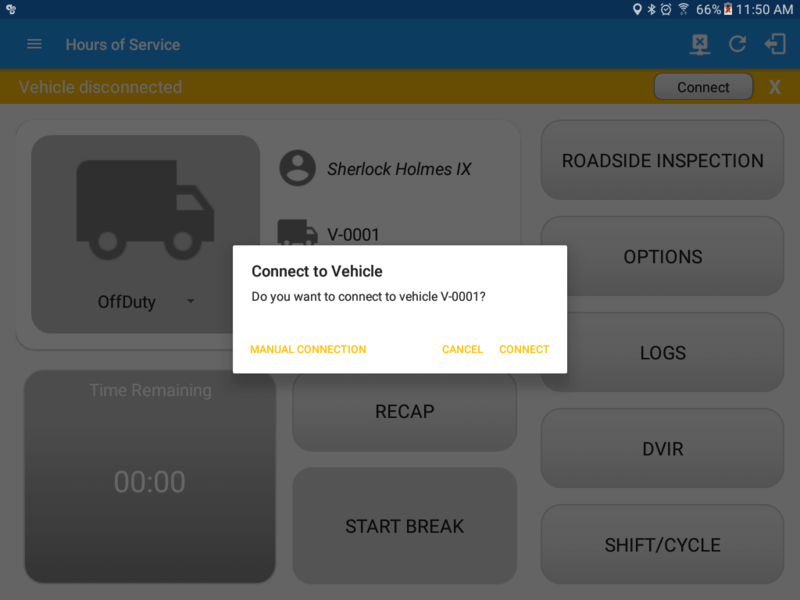 Once a manual configuration has been made for the particular vehicle, the VBUS information is stored and next time an automatic connection can be made.